Children get to take their four decorated cupcakes home. Class will cost @12 per child. Please contact for sibling discount. Parents should stay with the kids during the class. For booking message on Facebook link below, or Afraa at 07774147318. Description: Includes: All Nerf Guns, Nerf Bullets, Safety Glasses, plus Juice and Cookies at Half Time! Description: Join us on the 25 March to discover what extreme weather means to us! With hands-on activities, storytelling, colouring and play, this is best suited for little scientists AGED 3-5 YEARS as we explore how rain works and play with thermochromic paper! Prices – On Little Explorer Days, normal entry prices apply. Coastal Café provides a seating area where parents can see children at all times while enjoying a coffee and snack. Description: This month’s family film is Storks. Doors open 10.30am film starts at 11am. tickets on the door £2.50 includes free soft or hot drink. Description: Fraserburgh Cinema returns on Saturday 25th March at the Dalrymple Hall & Arts Centre. Description: To celebrate the release of Disney’s Beauty and the Beast, we’re hosting a Princess Tea Party! Come along to have a slice of princess cake, decorate your own crown, have your face painted and meet Belle and Cinderella! Please note all activities are on a first come, first served basis and our free of charge! Description: We are holding a Spring Coffee Morning on Saturday 25th March from 9.30am to 11.30am in New Deer public hall. Come along for a tea or coffee and some home baking! There will also be a sales table, raffles and a craft table for the kids to make some Mother’s Day crafts! 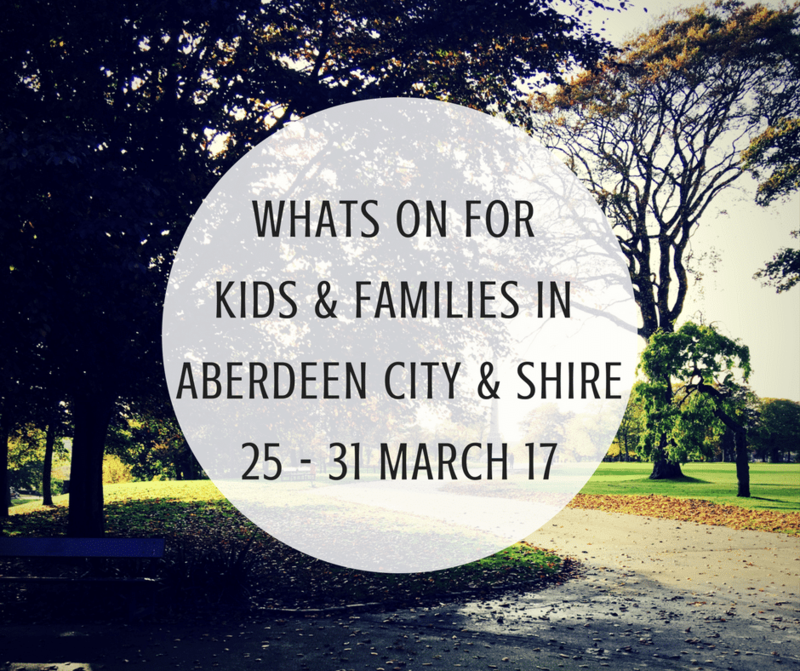 Join outdoor expert Mandy Tulloch in our wild garden for some springtime fun, especially for young children. Explore the garden and gather grass and twigs to create your very own bird’s nest to celebrate the start of Easter. Early booking recommended. Description: Crafts, activities and an egg hunt! Fun With the North Angus District Scouts: including toasting marshmallows, making paracord bracelets, and loads of games! Why not check out Foodie Quine’s preview to find out all about the festival!